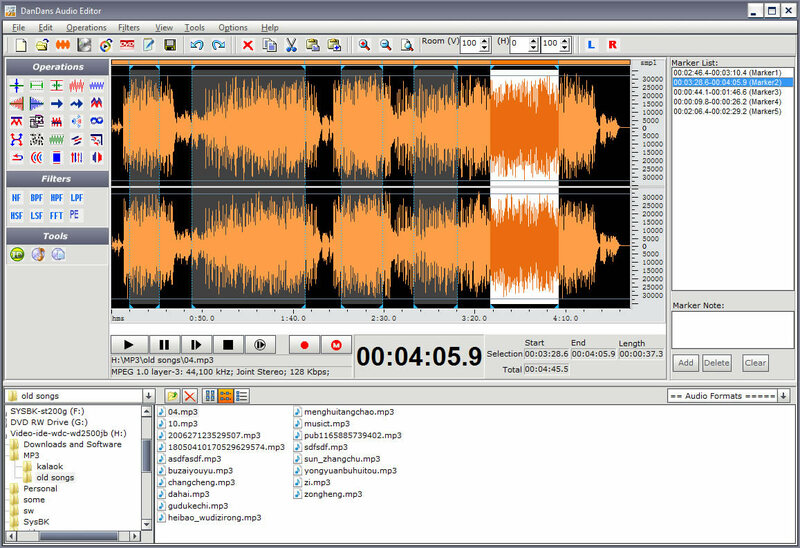 Easy Audio Editor is a visual multifunctional audio files editor which allow you to perform various operations with audio data such as visual editing, creating, recording, and playing audio files, applying various audio effects, filtering, format conversion, audio file information editng and more. It supports all major audio and video formats. Insert and change information about an audio file (Album, Artist, Channels, Comments, Copyright, Genre, Title, Year). Easy Audio Editor is the best easy-to-use audio editor for home users. Edit, filter, apply effects, and convert audio files. This Easy Photo Editor can resize picture, image and photos. A perfect audio editor tool for your audio production. An easy-to-use audio editor. Open, edit and save wave, MP3, and WMA files. It allows you to edit an audio file visually and apply different effects. Qweas is providing links to Easy Audio Editor 7.1 as a courtesy, and makes no representations regarding Easy Audio Editor or any other applications or any information related thereto. Any questions, complaints or claims regarding this application Easy Audio Editor 7.1 must be directed to the appropriate software vendor. You may click the publisher link of Easy Audio Editor on the top of this page to get more details about the vendor.